There is no way muslims who have grown accustomed to the fruits of a free mind and western progression can hope to improve Jannah, the muslim paradise, technologically. As we can see and hear on this video even praying to Allah for an infidel is forbidden. 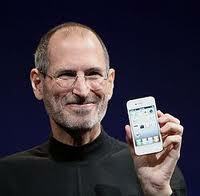 Asking Allah to let in Steve Jobs is simply forbidden. So what should a man do in Jannah without his iPhone?